The Spanish Immersion Program, or ¡Sí!, began seven years ago. Each fall, ¡Sí! volunteers complete a Spanish training course. These volunteers then enter regular community placements in the spring where they can apply their new Spanish skills. Some League members have entered ¡Sí! with no previous Spanish experience, while others simply polished rusty skills. ¡Sí! classes are held once per week for fifteen weeks, late August through mid-December. Class sizes are limited to six students, and each class is approximately 90 minutes long. Participants are given assignments or vocabulary to study at home each week as well. The course is designed for beginners and begins with the basics: pronunciation, pronouns, articles, and the like. Verb conjugations and vocabulary are taught throughout. By the end of the semester, the instructor will also touch on more advanced topics like reflexive and irregular verbs. The instructor works with students in real-life conversational skills and is available throughout the spring for support. An extension of the SI program is the “Si para ti” class, which non-SI placement members pay to attend. 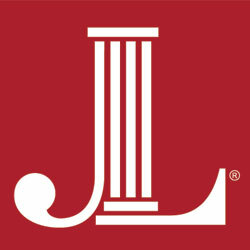 The classes are offered to interested JLA members, sustainers, and friends and family of League members during the fall, spring, and summer. In the spring, ¡Sí! volunteers no longer take classes and instead begin working shifts at the community agencies they were assigned at the beginning of the League year. Specific community placements were selected where Spanish skills would be helpful but true fluency would not be required. For example, Texas Rio Grande Legal Aid provides free legal services for those who are unable to afford the services of a private attorney. They hold Legal Clinics that are open to the general public on Monday and Wednesday evenings. ¡Si! Volunteers can provide support and direction for greeting and signing in applicants at the Legal Clinics, completing the necessary paperwork and/or interviewing applicants about the civil legal problem for which they are needing assistance. There is Spanish-speaking staff on site to assist with specific situations/communication, which might take place in Spanish. JLA members with questions about the ¡Sí! program or who are interested in finding out more about taking Spanish classes at their own cost through The Junior League of Austin are encouraged to contact the 2018-2019 Spanish Immersion Project Chair, Silvia Ward Carden at spanishimmersion@jlaustin.org.